East Asian nations have largely charted their own course in pursuing economic development, and have enjoyed decades of extraordinary growth. For over 20 years China has grown at an average rate above 9 percent, Malaysia has grown at an average rate of above 6 percent, Singapore at an average rate above 7 percent, and South Korea, Taiwan and Thailand at well over 5 percent. When Japan was outperforming the world, from 1950 to 1965, its economy expanded on average at over 10 percent per annum. Diverse policies have been pursued by different East Asian nations, so the region’s economic success doesn’t present a simple story. However, it is clear that the region’s policies have provided for a much larger role for government than is permitted under the Washington Consensus and that generally the policies that have served the region so well often contradict those of the Consensus. This is self-evidently true in China,  but even Japan has consistently preferred regulatory approaches “that rein in rather then let loose market forces”. Indeed, the only East Asian country to consistently follow Washington Consensus policies has been Hong Kong (treating it as a separate economy for these purposes). Other nations should be grateful that China and the other nations of East Asia have consistently ignored IMF advice to apply Washington Consensus policies, and taken their own paths, because for decades the stellar economic growth of East Asia has lifted that of the world. China’s capacity to produce manufactured goods, clothing and other items ever more efficiently and cheaply has kept a lid on inflationary pressures in virtually all developed economies. For Australia, Brazil and other commodities exporters China’s growth has provided a massive market for minerals and other commodities. Indeed, the rise of East Asia generally has underpinned global prosperity for the past 25 years. Yet this economic powerhouse of a region has traditionally had little voice in global economic and financial governance. Until 2009 global economic governance was principally exercised by the G7 grouping of nations, in which Japan was the only Asian member. With the advent of the global financial crisis in 2008 it quickly became apparent that the G7 nations did not have the moral authority, or the right nations at the table, to craft a credible response to the crisis. So the G7 resolved to pass its role on to the G20, a pre-existing meeting of Finance Ministers that was promptly upgraded to a heads of government meeting. The G20 grouping includes all members of the G7 plus China, Indonesia and Korea as well as other developing nations including Brazil, India and South Africa. So for the first time, of late, East Asia has had four representatives seated at the high table of economic governance: Japan, China, Indonesia and Korea; and six if one includes Australia and India as Asian nations. While India is indubitably Asian, and Australia in an economic sense strongly arguably so, this chapter focuses upon East Asia rather than the region more broadly conceived. So historically East Asia has enjoyed only a very minor role in global economic and financial governance. Sixty years ago, in terms of its economic significance and influence, this made some sense. Today it does not. China holds about 30 percent, Japan about 15 percent and South Korea about 3 percent of worldwide official foreign currency reserves. For many years, China and Japan have been the principal buyers of US Treasury bonds. For decades, the Chinese and Japanese have saved and lent, so Americans can borrow and spend. China has amassed massive foreign exchange reserves, on the back of an undervalued currency, and while China may well be manipulating the value of its currency, it is not in breach of its obligations under the Articles of Agreement of the IMF or the various WTO treaties. A nation cannot maintain an under-value for its currency and control its interest rates if it needs global capital. It is only the independence that high domestic savings rates give a nation that allow the long-term manipulation of the value of its currency. China has started to allow the yuan to appreciate. In mid-2010 it ended the freeze of the yuan against the US dollar and began to allow a gradual change in the value of the yuan within a daily trading band of 0.5 percent. In April 2012 the government widened the daily trading band to 1 percent. The financial systems of most East Asian nations are far more closely integrated with financial systems in North America or Europe than with those of other East Asian nations. This is particularly perplexing given the high savings rates and foreign exchange reserves that characterize regional nations. East Asia’s massive savings as a region give it more enviable options in dealing with global capital, and provide the opportunity to interact with global capital more on its own terms. Immediately after the East Asian crisis in 1997 Japan offered to fund the establishment of an Asian Monetary Fund, with a view to enhancing regional financial integration, but the idea met stern opposition from the United States (‘US’) and the IMF, and a lack of support from China, and was dropped. In its place, the much less ambitious Chiang Mai Initiative was pursued, a series of bilateral commitments by which regional nations committed to make bilateral swap arrangements and security repurchase agreements available to each other in times of need. The CMI was not called upon during 2008 with regional nations preferring to arrange extended credit lines from the US Federal Reserve. In the face of this failure, the swap agreements were multilateralised in early 2009 and increased by US$40 billion to US$120 billion in an agreement known as the Chiang Mai Initiative Multilateralised (‘CMIM’). The swap lines were doubled, to $240 billion, in May, 2012. China, Japan and Korea provide 80% of these commitments, with the balance from ASEAN nations. Originally only 20% of the amounts available under the CMIM were available if a nation did not have an IMF program in place. As IMF negotiations typically drag on for months, 80% of the funds would not be available promptly -- when they are needed in a crisis. The reason given for conditioning CMIM credit upon an IMF program is that the CMI lacked a surveillance capacity. This has now been remedied with a surveillance authority established, in Singapore, in 2012. However, the immediately available amount was only increased to 30% of available funds, with a view to a further increase to 40% in 2014. A series of substantial credit lines coupled to a serious surveillance (and thus advice-giving) capacity is very close to a monetary fund, in this case, an Asian Monetary Fund. The size of the credit lines available under the CMIM are still far too limited and major further expansion is required. If it is forthcoming, and the CMIM is expanded and used to its potential, the Asian Monetary Fund could play a substantial role in developing and articulating an Asian Consensus to rival Washington’s. The global financial crisis of 2007 and 2008 affected East Asia perhaps less than any other region. One of the reasons was the economic dynamism of China, but another was that the region learned a hard lesson from its 1997 crisis: that being open to global capital imports tremendous financial volatility and that massive foreign exchange reserves give a country a substantial degree of insulation and protection against that volatility. For years Western experts have been predicting that China’s high growth rates could not be sustained. The weakness of its institutions, such as the rule of law and independent courts, mitigate against sustained growth in Western eyes. But China’s continued growth, far beyond the limits the experts were certain would constrain it, suggests that China may have crafted its own paradigm in which the lessons of institutional economics need to be revised. Whether that system is transferable to other nations, with different work ethics and cultures and levels of entrepreneurship is another matter. What is clear is that Washington Consensus policies have not worked in most countries to which they have been applied,  and the policies that engendered such dramatic and sustained periods of growth in China, Japan, South Korea, Singapore, Malaysia, Taiwan and other countries are quite different to those of the Washington Consensus. An Asian Consensus would, logically, be an amalgam of the policies that have worked to empower East Asian economic growth and lift massive portions of the region’s population out of poverty: policies that allow a larger role for government, that prioritise inbound equity investments over debt and focus on investments that bring with them high technology and management expertise, and policies that emphasise nation building through investment in the education and health of the local people rather than the repayment of foreign debt. The Holy Trinity in international finance is quite unlike what it is in Christianity. In Christianity one gets all three -- the Father, Son and the Holy Spirit are three aspects in effect of a singular Godhead. International finance, in more ways than just this, is more like Meatloaf – the singer, not the meal. The refrain of one of his more popular songs is “I want you, I need you, but there’s just no way I am ever going to love you, But don’t be sad, don’t be sad, cause two out of three ain’t bad”. In finance, a country can have two out of three: it can have two of (i) access to international capital markets, (ii) control of its interest rates, and (iii) control of its exchange rate. But it cannot have all three. In other words, if you need foreign capital, then you can set your interest rates but then the market will set your exchange rates (as Australia does). Or you can set your exchange rates, but then the market will set your interest rates. But you cannot set both interest and exchange rates, if you need foreign capital, because you typically then won’t get the capital in the amounts you need. This is why China has never let in foreign capital in any substantial amounts. By preventing itself becoming dependent upon foreign capital, it has managed to stay in charge of both its interest and exchange rates, and thus retain control of two very powerful policy levers over its economy. Keeping interest rates artificially low for decades has preferred Chinese manufacturers and other industries that benefit from access to cheap capital, at the expense of Chinese citizens, who receive very low returns on their savings. And by keeping its currency artificially undervalued it prefers Chinese export industries again over Chinese consumers, who have to pay higher prices for imported goods than would be the case were the exchange rate at an appropriate value. This manipulation of its exchange rate has been fundamental to the accumulation of China’s massive foreign exchange reserves (funded by its massive export earnings) which it has in turn invested heavily into US Treasury bonds. So in the financial sphere China has taken its control of its own exchange rate and used it to become the principal creditor to the US. China has consistently called the shots in terms of its interaction with the global financial system. Yet to date China, and East Asia more broadly, has punched well below its weight in shaping international financial governance. China has been happy to interact on its terms with global capital, without taking the next step of becoming heavily engaged in how the global financial system is structured and regulated. If this is to change the region needs to begin to speak with a unified voice and this will require a high degree of consensus between China, Korea and Japan. China, Korea and Japan share a common perspective on the appropriate role of governments in directing economic activities and have large foreign exchange reserves. Notwithstanding these similarities they have almost no coordination of their policies at the G20 level. If East Asia is going to be able to exercise the influence it should have given its foreign exchange reserves and its contribution to global GDP growth, China, Japan and Korea are going to need to cooperate and essentially speak with one voice. Given the lingering historical animosities between China and Japan and their current competition for regional influence, the only likely catalyst for genuine regional cooperation is Korea. Rather than cooperating, however, the three countries repeatedly clash at G20 summits. 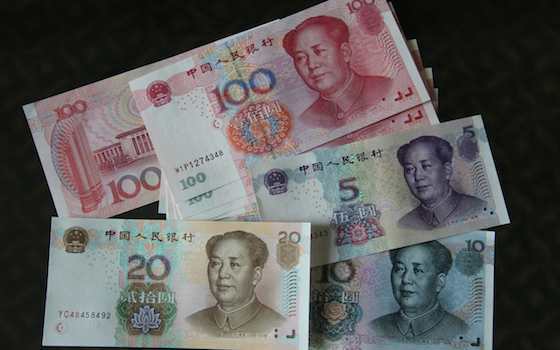 For instance at the G20 summit in Nanjing in late March 2011, Japan openly supported the current role of the US dollar as the global reserve currency in opposition to the wishes of China and Europe; and at the G20 meeting in Paris in February 2011, Korea and China were in conflict over the internationalization of the renminbi; while Japan has generally sided with the US in pushing for the appreciation of the renminbi. This relative economic strength and stability should give rise to considerable economic clout for the region in G20 deliberations. The reason it doesn’t is security concerns. Both Korea and Japan are concerned about China’s military rise and its increasing bellicosity and so rarely agree with, or support, each other in the G20. The export-led model of growth that has worked well for so long for China, Japan and Korea has reached its use-by date. The US clearly cannot continue indefinitely to absorb the region’s trade surpluses through ever-higher debt-fuelled levels of consumption. As China has recognised, it has to reduce its reliance on export-led growth and generate much more of the demand it needs to sustain growth by way of domestic consumption. China’s attempts to achieve this to date have met with some but insufficient success and what is clearly needed is a regional initiative that uses growth in regional consumption to drive regional GDP growth. This is achievable as many of the region’s economies are quite complementary, especially if one extends the concept of region in this regard to embrace Australia, India and New Zealand. However any such policy coordination would require an unprecedented degree of trust and cooperation which is rendered impossible by the security concerns generated by Chinese aggression. For 20 years China’s foreign relations policies were a model of the subtle but effective pursuit of national self-interest. In the past two years, all this has changed. For years in classes about the region, I would contrast the use by Japan and China of aid funds to secure influence. Every year Japan would heavily outspend China on regional aid, and achieve far less bang for their yen. Japan funded worthy projects that gave its neighbours what Japan believed they needed, and what they often did need. China on the other hand gave what recipient governments wanted. It was as if Japan was the parent who knew best, and China the grandparent who bought soft toys and ice cream. Japan behaved like a stern parent. As the developed nation in East Asia, it acted as if it had earned the right to solve other nations’ problems. China behaved like a good friend who listened first, and then helped. Unsurprisingly, China won friends and influenced nations, whereas Japan spent a lot of money and did a lot of good, but not much for itself. All this started to change in about 2010 with the rise of Chinese bellicosity. Today we have China pushing its claim to the Spratly Islands and neighbouring island groups in the South China Sea vigorously against the Philippines and Vietnam, and sending its fishing vessels into waters in the East China Sea disputed with Japan. A quick look at a map shows the validity of the Philippines’, and perhaps Vietnam’s, claims to the Spratlys and the vast oil and gas reserves beneath them. Any map also shows the fatuousness of China’s claims, which are based on history because geography cannot support them. Yet in July 2012 China resolved to garrison troops on one of the islands, and appointed 45 legislators to govern them. Formerly China would have sought oil and gas exploration rights over the Spratlys by offering the Philippines and Vietnam production-sharing agreements plus large amounts of aid and large, cheap loans. Today China bases its claims not on persuasion and largesse, but on military might. China will prevail by relying on its military strength but at what cost to its longer term ambitions to be a genuine regional and global leader, and to start to shape the global system so that it serves China’s, and East Asia’s, ends. The George W Bush administration fixated on the Middle East and ignored East Asia. Upon coming to power in 2009 the Obama administration sought to rectify this oversight. But the conventional wisdom was that America was by then so resented in the region that reclaiming its former influence would be likely impossible. Yet, of late, China’s aggressive postures have so scared regional nations that they have been lining up to ask America to re-engage. So we see the Philippines asking America to re-open Clark Air Base and Subic Bay, military bases the Filipinos ordered closed over 20 years ago. We see the US announcing it will move the bulk of its navy to the Pacific, so that 60 percent of its fleet, including six aircraft carrier groups, will be based in the Pacific by 2020. And we see Indonesia taking the unprecedented step of sending its newest Sukhoi fighter aircraft offshore for the first time ever -- to Australia for joint training exercises in July 2012. America has gone from being the resented imperialist to every regional nation’s new best friend. Australia has recent first-hand experience of this new Chinese approach to ‘diplomacy’. International messages are usually couched in words of exquisite politeness. Yet China’s two messages to us had the subtlety of a school yard bully – words like ‘godfather’ convey a palpable sense of threat. How can China imagine that threatening Australia will cause it to trust them in security matters? How can threats to Australia, and threats to its neighbours, do anything but cause these nations to cleave ever closer to the US? China’s new aggressive posture on security issues effectively derails any possibility of a unified voice on economic governance issues. By driving Japan and Korea ever more strongly under the American military umbrella, China inevitably gives the US the power to shape the Japanese and Korean positions on economic issues to an extent that would not otherwise be possible. This is to everybody’s detriment. The G20 would be a more effective institution of global economic governance with a strong and unified policy input from East Asia. After all, the region that is consistently posting the highest growth rates in the world deserves to be listened to carefully in global economic deliberations and must have useful things to say. East Asian governments have shown little interest in European initiatives, such as a financial transactions tax, when it was advocated by President Sarkozy and Chancellor Merkel. One reason for this and for the region’s general skepticism about global economic governance is the region’s deep disillusionment with the intervention of the IMF in the Asian crisis in 1997 and 1998. The IMF’s high-handedness in imposing stringent conditions on Indonesia, Korea and Thailand was perceived as a humiliating affront to sovereignty and still looms large in the region’s collective memory. This is particularly so because the IMF’s initial diagnosis of Asia’s troubles in 1997 was quite wrong, as even the Fund itself was forced to admit in under two years. The strongly interventionist and directive style of the IMF in that Crisis was in direct contrast to the region’s strong preference for consensus-led cooperation, and so the region remains deeply distrustful of global economic institutions. Be that as it may, the region is losing the opportunity to shape the global debate and the resulting regulatory measures due to this historical distrust, and it is surely time for the region to rise above its history and to start to play the role which its economic success has earned it and which will best serve it. After all, it is not as if China is content with the international financial system as it is. For instance, twice in 2009 the Governor of China’s central bank called for a new reserve currency regime focused on special drawing rights. China is hard at work researching alternatives, such as denominating and settling its trade with Brazil in real and renminbis, not dollars. China remains of the view that there are far better alternatives for a global reserve currency than the US dollar, with which I agree, and if it could bring all of East Asia with it in that view, it would have a far better prospect of one day seeing it realised. Unfortunately for as long as China pursues power through threats and military intimidation security tensions will irreparably undermine any convergence of the region’s economic voice. China is thus paying a huge price in lost international influence for whatever ‘steroidal satisfaction’ it derives from flexing its military muscles. This is a very real loss for the G20, the agenda of which is impoverished by the lack of a real East Asian contribution. It is a real loss for the region which is destabilized and spends more on military expenditures. It is tragedy for China, Japan and Korea who spend their energy squabbling among themselves rather than shaping the international regulatory and other agendas in ways that would serve the region. Since opening up to foreign investment under the leadership of Deng Xiaoping, China’s strategies have been characterised by subtle, astute, long-term thinking – three elements completely missing from its current approach. A return by China to its former policies of seeking regional leadership and influence through soft power and the strategic use of aid funds and largesse may require China to share the oil and gas resources in the South China Sea but the cost to China of sharing these resources would be far less than the cost to China of the loss of the opportunity to shape the global economic and regulatory agenda. Wayne M. Morrison, ‘China’s Economic Conditions’ Congressional Research Service (26 June 2012), 4-5, available at: http://www.fas.org/sgp/crs/row/RL33534.pdf. Data spanning 1987-2011 compiled from The World Bank, ‘GDP growth (annual%)’, available at: http://data.worldbank.org/indicator/NY.GDP.MKTP.KD.ZG; International Monetary Fund, World Economic Outlook Database, available at: http://www.imf.org/external/pubs/ft/weo/2012/01/weodata/index.aspx. K Beida, The Structure and Operation of the Japanese Economy (1970), 12. The term ‘Washington Consensus’ was coined in 1989 by John Williamson, a British economist: ‘A Conversation With John Williamson, Economist’, The Washington Post, 12 April 2009, available at: http://www.washingtonpost.com/wp-dyn/content/article/2009/04/09/AR2009040903241.html. Alfredo Saad-Filho, ‘Life Beyond the Washington Consensus: An Introduction to Pro-poor Macroeconomic Policies’ (2007) 19(4) Review of Political Economy 513, 521; Hossein Askari, Third World Debt and Financial Innovation: The Experiences of Chile and Mexico (OECD Development Centre, 1991), 22. Yoram Margalioth, ‘Intellectual History as Legal Analysis’ (2011) 96 Cornell Law Review 1025, 1027. Jeffrey Garten quoted in Edward Luce, Time to Start Thinking: American and the Spectre of Decline, (London: Little Brown, 2012), 259. As recently as 2004, state-owned enterprises accounted for over 50% of China’s GDP and over 40% of its exports: Jayati Ghosh, ‘China and India: The Big Differences’, available at http://www.networkideas.org/news/aug2005/news25_China_India.htm. Phillip Lipsey, ‘Japan’s Asian Monetary Fund Proposal’, (2003) 3 Stanford Journal of East Asian Affairs 93, 100. Douglas Arner and Ross Buckley, ‘Redesigning the Architecture of the Global Financial System’ (2010) 11(2) Melbourne Journal of International Law 185, 207-8. ‘IMF Executive Directors and Voting Power’, International Monetary Fund (last updated 16 March 2012, accessed 16 March 2012) . Japan has 6.23 % and China 3.81% of the votes. i.e. US$16,120.4 billion for ASEAN+3 compared to Gross World Product of US$63,170 billion: Central Intelligence Agency, ‘Field Listing – GDP (Official Exchange Rates)’ in The World Factbook (accessed 16 March 2012) . ‘Organisation and Governance’, Bank for International Settlements (last updated 19 December 2011) . See IMF, ‘Currency Composition of Official Foreign Exchange Reserves’ (29 June 2012), available at: http://www.imf.org/external/np/sta/cofer/eng/cofer.pdf; Stanley White, ‘Japan Gives China’s Yuan $10 billion Stamp of Approval’, Reuters (online), 13 March 2012, available at: http://www.reuters.com/article/2012/03/13/us-japan-china-investment-idUSBRE82C0BL20120313; Jiyeun Lee, ‘South Korea’s Foreign-Exchange Reserves Rise to $316.84 Billion’, Bloomberg (online), 3 May 2012, available at: http://www.bloomberg.com/news/2012-05-02/south-korea-s-foreign-exchange-reserves-rise-to- 316-84-billion.html. Bryan Mercurio and Celine Sze Ning Leung, ‘Is China a ‘Currency Manipulator’? : The legitimacy of China’s exchange regime under the current international legal framework’, 14 (2009) International Lawyer 1257–1300. M Obstfeld and K Rogoff, ‘Exchange Rate Dynamics Redux’, (1995) 103 Journal of Political Economy 626– 660; M Obstfeld, J C Shambaugh and A M Taylor, ‘The Trilemma in History: Tradeoffs among Exchange Rates, Monetary Policies, and Capital Mobility,’ (2005) 87(3) Review of Economic Statistics 423–438. Esther Fung and Shen Hong, ‘China Widens Yuan Trading Band vs. Dollar’, The Wall Street Journal (online), 14 April 2012, available at: http://online.wsj.com/article/SB10001424052702304444604577342580742454656.html. There are currently 17 implemented free trade agreements among East Asian nations, one free trade agreement under negotiation (Japan-Korea) and a further five under proposal: Yunling Zhang and Minghui Shen, ‘The Status of East Asian Free Trade Agreements’, ADBI Working Paper Series No. 282 (May 2011), 32-33. In addition, in May this year China, Japan and Korea agreed to begin negotiations on a free trade agreement: see Bloomberg (online), ‘China Plans Talks with Japan, Korea on Free-Trade Area’ (14 May 2012), available at: http://www.bloomberg.com/news/2012-05-12/china-japan-korea-to; www.imf.org/external/pubs/ft/reo/2011/apd/eng/areo1011.htm. David Cowen and Ranil Salgado, ‘Globalization of Production and Financial Integration in Asia’ in David Cowen, Ranil Salgado, Hemant Shah, Leslie Teo and Alessandro Zanella (eds), Financial Integration in Asia: Recent Developments and Next Steps, IMF Working Paper No. 06/196, 2006, 4. The ASEAN+3 Macroeconomic Research Office (AMRO) was officially opened on 31 January 2012. It is responsible for monitoring the macroeconomic and financial situation of, and identifying vulnerabilities within, the ASEAN+3 region: Ministry of Finance, Singapore, ‘Opening Ceremony of ASEAN+3 Macroeconomic Research Office’, Press Release, 31 January 2012, available at: http://www.amro-asia.org/wpcontent/ uploads/2012/01/01-Press-Release_AMRO-Opening-Ceremony.pdf. Press Release, May 3, 2012, op cit n 24. See, for example, Michael Pettis, ‘Get Used to Slower Chinese Growth’, The Wall Street Journal (online), 11 August 2011, available at: http://online.wsj.com/article/SB10001424053111904140604576497810075933194.html?mod=opinion_asia&ut m_source=twitterfeed&utm_medium=twitter; Satyajit Das, ‘Chinese Banquet is Nearing the End’, The Wall Street Journal (online), 25 July 2012, available at: http://www.marketwatch.com/story/chinese-banquet-isnearing- the-end-2012-03-14; Anne O Krueger, First Deputy Managing Director, International Monetary Fund, ‘China and the Global Economic Recovery’, Keynote Address to The American Enterprise Institute Seminar, Washington D.C., January 10, 2005; James K Galbraith, ‘Sustainable Development and the Open Door Policy in China’, UTIP Working Paper number 16, May 5, 2000; Eswar Prasad, Division Chief, Asia and Pacific Department, IMF, ‘Growth and Stability in China: Prospects and Challenges’, Harvard China Review, Annual Conference, Cambridge, MA, April 17, 2004; Robert Dekle, ‘The Chinese Economy: Perspectives from the Japanese Manga’, (2005) 8(2) Harvard Asia Pacific Review 47–50. Dani Rodrik, ‘Goodbye Washington Consensus, Hello Washington Confusion?’ (2006) 44(4) Journal of Economic Literature 973, 974. Simon Rabinovitch, ‘IMF says renminbi ‘moderately undervalued’’, Financial Times (online), 25 July 2012, available at: http://www.ft.com/intl/cms/s/0/370ef804-d62c-11e1-b547-00144feabdc0.html#axzz224a6lyJW. John C. Bluedorn and Christopher Bowdler, ‘The Empirics of International Monetary Transmisssion: Identification and the Impossible Trinity’ (2010) 42(4) Journal of Money, Credit and Banking 679; Hanno Beck and Aloys Prinz, ‘The Trilemma of a Monetary Union: Another Impossible Trinity’ (2012) 47(1) Intereconomics 39. Michael Pettis, ‘What is Financial Reform in China?’, Financial Sense (online), 9 July 2012, available at: http://www.financialsense.com/contributors/michael-pettis/what-is-financial-reform-in-china. Michael Schuman, ‘China’s Economic Slowdown: Why Stimulus is a Bad Idea’, Time (online), 26 July 2012, available at: http://business.time.com/2012/07/26/chinas-economic-slowdown-why-stimulus-is-a-bad-idea/. Yves Tiberghien, ‘Big Picture: The Context of the Seoul G20 Summit and the Northeast Asian Paradox’, East Asia Institute Issue Briefing No. MASI 2011-04 (26 August 2011), 2. Ishrat Husain, ‘Asia and Global Governance’ International Policy Digest (15 October 2011). Thomas Kalinowski, ‘East Asia in the Global Governance of Finance’, in Global Financial Stability: A Dialogue on Regulation and Cooperation. Selected Expert Papers from the Dialogue Forums 2010 (1 July 2011), available at: http://www.bif-berlin.de/GlobalFinancialStability_2011.pdf, 73. Jonathan Weston, Caitlin Campbell and Katherine Koleski, ‘China’s Foreign Assistance in Review: Implications for the United States, US-China Economic and Security Review Commission Background Researcher, 1 September 2011, 2 available at: http://www.uscc.gov/researchpapers/2011/9_1_%202011_ChinasForeignAssistanceinReview.pdf; and Hitoshi Tanaka and Adam P Liff, ‘Japan’s Foreign Policy and East Asian Regionalism’, Council on Foreign Relations, December 2009, 3-4. Jane Perlez, ‘Tensions rise as China sends troops to disputed islands’, Sydney Morning Herald (online), 25 July 2012, available at: http://www.smh.com.au/world/tensions-rise-as-china-sends-troops-to-disputed-islands- 20120724-22n76.html. Renato Cruz de Castro, ‘The Obama Administration’s (Neoliberal) Reengagement Policy in East Asia: Implications for US-China Relations in the Twenty-first Century’ (2011) 47(2) Issues and Studies 1. Robert Johnson, ‘The US will open massive Philippine bases not occupied since the Cold War’, Business Insider (online), 8 June 2012, available at: http://www.businessinsider.com/the-us-is-reopening-massivephilippine- military-bases-not-used-since-the-cold-war-2012-6. ‘Leon Panetta: US to deploy 60% of navy fleet to Pacific’, BBC News (online), 2 June 2012, available at: http://www.bbc.co.uk/news/world-us-canada-18305750. Lindsay Murdoch and Michael Bachelard, ‘Indon esian jets in Australian war games’, Sydney Morning Herald (online), 18 July 2012, available at: http://www.smh.com.au/world/indonesian-jets-in-australian-wargames- 20120717-228f3.html. Philip Wen, ‘Canberra ‘must pick strategic godfather’’, Sydney Morning Herald (online), 16 May 2012, available at: http://www.smh.com.au/world/canberra-must-pick-strategic-godfather-20120515-1yp43.html. Jayshree Bajoria, ‘How the U.S. Should Stay Relevant in Asia’, Council on Foreign Relations, 18 November 2011, available at: http://www.cfr.org/asia/us-should-stay-relevant-asia/p26546; Ian Johnson and Jackie Calmes, ‘As U.S. Looks to Asia, It Sees China Everywhere’, The New York Times (online), 15 November 2011, available at: http://www.nytimes.com/2011/11/16/world/asia/united-states-sees-china-everywhere-as-it-shiftsattention- to-asia.html?pagewanted=1&_r=2&ref=world. Thomas Kalinowski, ‘East Asia in the Global Governance of Finance’, in Global Financial Stability: A Dialogue on Regulation and Cooperation. Selected Expert Papers from the Dialogue Forums 2010 (1 July 2011), 70, available at: http://www.bif-berlin.de/GlobalFinancialStability_2011.pdf; and RP Buckley & G North, “A Financial Transaction Tax: Inefficient or Needed Systemic Reform?” (2012) Georgetown International Law Journal 745. C. Randall Henning and Mohsin S. Khan, ‘Asia and Global Financial Governance’, Working Paper, Peterson Institute for International Economics (October 2011), 10. Xiaochaun, Z. (2009) ‘Reform the IMF’ Available at (accessed 11 October 2011); and Bergsten F (2009) ‘We should listen to Beijing’s currency idea’, Financial Times, 8 April 2009; available at (accessed 11 October 2011). Wheatley, J. ‘Brazil and China in plan to axe dollar’, Financial Times, 18 May 2011. Online < http://www.ft.com/cms/s/0/996b1af8-43ce-11de-a9be-00144feabdc0.html#axzz1aWgJGjgs> (accessed 11 October 2011). R Buckley, ‘Resilience and global financial governance’, in S Cork (ed) Resilience and Transformation: Preparing Australia for Uncertain Futures (Melbourne: CSIRO Publishing, 2009) 65 at 70. Ross Buckley is the CIFR King & Wood Mallesons Professor of International Finance and Regulation, UNSW, Sydney.